Durability should always be one of your priorities when you look for new eyewear, which is why these plastic eyeglasses' Burberry BE2284 frames are ideal. If you're the active and practical type, you'll benefit from having plastic frames. 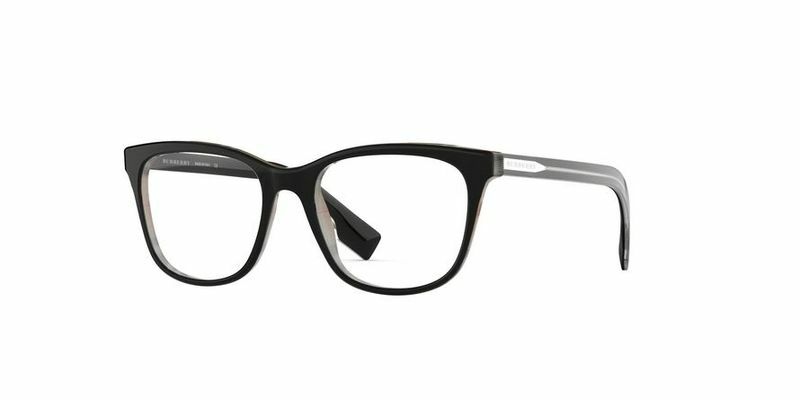 If you're after a pair of fashionable eyewear Burberry BE2284 frames that are versatile and minimalist, these square eyeglasses will add the right amount of sophisticated cool. Pair them with your business attire or a pair of simple blue jeans and shirt; you'll still look the part no matter where you go. Add more definition to your rounder face to show the world who you are - it's up to you how you wear them!